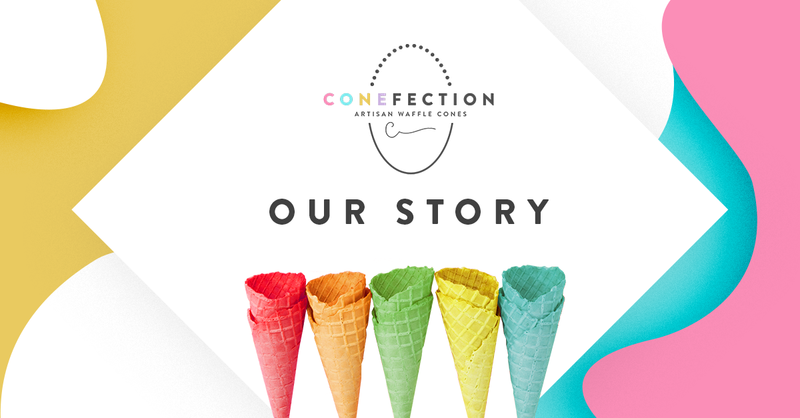 CONEFECTION Artisan Waffle Cones adds joy to your ice cream experience with tantalising waffle cones made with delicious yet healthy ingredients that complement your favourite ice cream. The ice cream has been reinvented with exceptional flavours using all-natural and healthy ingredients - so why hasn’t the rest of the industry followed suit? Our values are simple: to spread joy by creating delightful waffle products in exciting new flavours using natural and healthy ingredients. Here at CONEFECTION, it isn’t just about being healthy. We want to change how the ice cream industry operates. The global ice cream industry is a rapidly growing industry but unfortunately, the majority of this industry is still reliant on single-use paper and plastics. But we believe that in order to make a real difference in sustainability, we don’t have to create newer types of packaging; we just need to change the consumer’s behaviour. By creating attractive, delicious, and edible ice cream products, we want to encourage you to make the better choice by choosing the waffle cone or bowl instead of a plastic/paper cup - not just for yourself but also for the environment. That way, we can achieve our aim of turning the global ice cream industry into a zero-waste industry by 2025. So the next time you have to choose between cone or cup, do your part for the environment by choosing “cone”.